When you’re thinking of starting a new business, you might think that the Business Plan is your first step. Well, not so fast! Join us at this Startup U session where we’ll dive into the Business Model Canvas, and how it’s recently replaced the “Business Plan” as the smart first-step for entrepreneurs focused on bringing a new business idea to life. This session features Sue Marrone of Sue and Company, who has trained businesses, educational institutions, and governmental entities on the Business Model Canvas Suite. 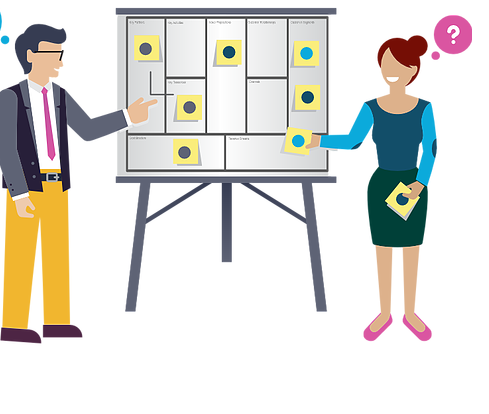 You’ll leave this session with an understanding of what a Business Model Canvas is, and how to best leverage it for your new business idea. PLUS: Learn details about the Lakewood Ideation Challenge, where you can win one of two prize packages valued at over $1,000 simply by sharing your business model + pitch.